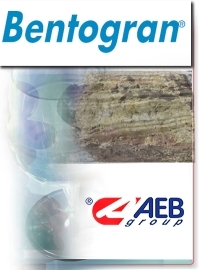 Bentogran is a bentonite of easy utilization. Its granular formulation enables a quick dispersion in water in a few minutes, without creating any dust and with great advantage for the personnel in charge of dissolving it. Bentogran has an activity that enables to reduce up to 70% application doses if compared with common bentonites, and, in must and wine clarification, it produces very compact lees, reducing to a minimum waste materials. Bentogran adsorbs a high quantity of water with a swelling index highlighting its excellent adsorbing and deproteinizing characteristics, especially appreciated for the production of quality wines, in particular for the proteic stabilization of white wines. In red and strong sweet wines it selectively eliminates colloidal fractions of coloring substances, adsorbing in a negligible percentage the molecules responsible for the color. Bentogran produces a higher yield of clarified wine, increases the volume of the bright wine and brings about evident economic advantages, totally preserving wine structure and aromas. View the Brochure AEB BENTOGRAN. Used for the clarification of wine, juice, cider and vinegar. Agglomerated KWK® efficiently removes suspended colloidal particles. This high-purity bentonite has a high montmorillonite content, large surface area, and contains low grit. Agglomerated KWK® is effective at preventing cloudiness and removing heat sensitive proteins. Agglomerated KWK® is the fastest dispersing wine-grade bentonite.